This Blackwell Guide introduces ancient Greek drama, which flourished principally in Athens from the sixth century BC to the third century BC. 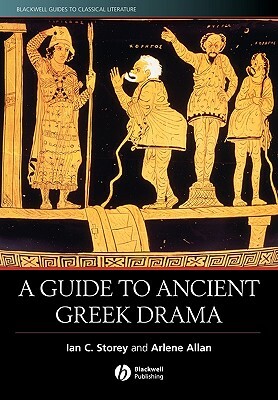 A broad-ranging and systematically organised introduction to ancient Greek drama. Discusses all three genres of Greek drama - tragedy, comedy, and satyr play. Provides overviews of the five surviving playwrights - Aeschylus, Sophokles, Euripides, Aristophanes, and Menander, and brief entries on lost playwrights. Covers contextual issues such as: the origins of dramatic art forms; the conventions of the festivals and the theatre; the relationship between drama and the worship of Dionysos; the political dimension; and how to read and watch Greek drama. Includes 46 one-page synopses of each of the surviving plays. Ian C. Storey is Professor of Classics and Ancient History and Principal of Otonabee College, Trent University, Ontario. He is the author of Eupolis: Poet of Old Comedy (2003). Arlene Allan is Assistant Professor of Classics and Ancient History, Trent University, Ontario.